The Pharaoh's Atlas Hookah is a compact 24 inch smoke machine. With a rounded, wobble-free base, this little hookah packs a strong punch. For added convenience, the base that comes with the Atlas is threaded for quick and easy on and off usage as well as a guaranteed air-tight seal. It comes with a hose and bowl needed to smoke right away. It should also include large tongs in the box. As with all Pharaoh's hookahs, the Atlas is capable of being converted to a 4-hose using the correct hose adapters (sold separately). 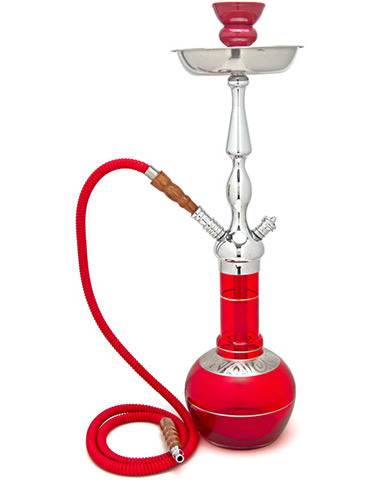 24" Pharaoh's Atlas Hookah has a average rating of 0 stars out of 5 stars based on 0 reviews.